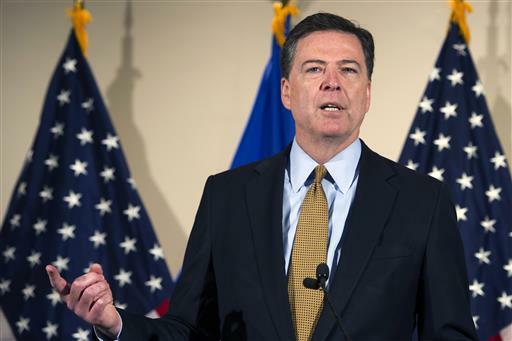 WASHINGTON (AP) — The FBI won’t recommend criminal charges against Hillary Clinton for her use of a private email server while secretary of state, agency Director James Comey said Tuesday, lifting a major legal threat to her presidential campaign. But Comey called her actions “extremely careless” and faulted the agency she led for a lackadaisical approach to handling classified material. Comey’s decision almost certainly brings the legal part of the issue to a close and removes the threat of criminal charges. Attorney General Loretta Lynch said last week that she would accept the recommendations of the FBI director and of career prosecutors. But Comey made that statement after he delivered a blistering review of Clinton’s actions, saying the FBI found that 110 emails were sent or received on Clinton’s server containing classified information. 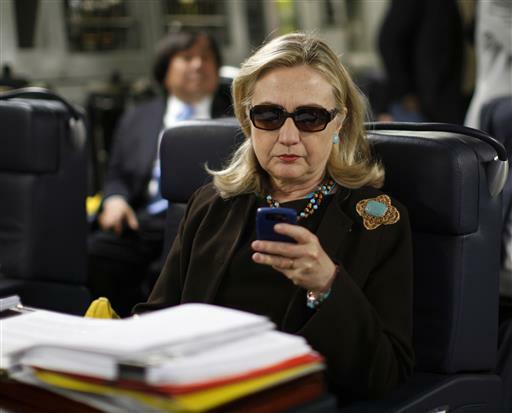 He added it was possible that people hostile to the U.S. had gained access to her personal email account. “Although we did not find clear evidence that Secretary Clinton or her colleagues intended to violate laws governing the handling of classified information, there is evidence that they were extremely careless in their handling of very sensitive, highly classified information,” he said. Comey made the announcement just three days after the FBI interviewed Clinton in a final step of its yearlong investigation into the possible mishandling of classified information. He said he shared the FBI’s findings with no one else in the government before making his announcement, which came just hours before Clinton was to travel with President Barack Obama on Air Force One to campaign together for the first time this year. The declaration from Comey is unlikely to wipe away many voters’ concerns about Clinton’s trustworthiness, especially since the FBI director so thoroughly criticized her actions before delivering his verdict. “There is evidence to support a conclusion that any reasonable person in Secretary Clinton’s position … should have known that an unclassified system was no place” for sensitive conversations, Comey said. Written by ERIC TUCKER, Associated Press, and KEN THOMAS, Associated Press. The problem isn’t that Hillary Clinton is a scandelous, self-serving criminal… we all know that. The problem is that there is a voting base trying to elect her, and they don’t care about her track record. LOL! What is wrong with those people? I don’t comprehend it. She’s crooked as all get out. they must changed the script on your meds. yore acting goofy this week ! Republicans and Democrats are both insane. I’m voting for Gary Johnson. Equals a de facto vote for Hillary. FBI Director Comey is incorrect in calling Hillary’s actions “extremely careless”. All actions and words by the Clintons are calculated. Hillary knew exactly the personal benefits and potential repercussions involved – and determined that it was an acceptable level of risk. Based upon the results from Comey and others in the Obama administration, Hillary (sadly) was right. the whole thing is basically a way to distract from her war crimes record. When u reach that level of the political elite u are immune from prosecution. Take a look back at the Bush II regime’s war crimes with 0 reprocussions for the criminals , and why are you people at all surprised. Either way, Hilary is just a puppet for ZOG, so it makes no difference either way. Great legal question for Comey. What is the difference between extremely careless and gross negligence? Gross negligence is a specific phrase used in US Code 18 that satisfies “intent”. She got away with it today, big time. Silver lining is Trump has a chance to defeat Hillary, I don’t think he would have a prayer against another ticket that would probably be headed by Uncle Joe. 42214 – very perceptive and incisive observation. Anyone who has held an SCI/TS security clearance has seen careers ended because of a single violation of what Hillary has done literally dozens of times. It is truly disgusting. So, according to the FBI, Hillary is not a criminal. She is just very, very stupid. No..according to the FBI you’re stupid ! and Hillary is a criminal ! Ha ha ha ha ha ha lmao !